Blogging has gained a religious following among the digital population and has apparently become their new vocation. The potential of a blog is limitless if it has something useful and unique to say. You can also make a decent amount of money from blogging if you do it the right way. Below are listed some neat tricks which can help you to transform your blog into a rich income source. 1. Place Ads: This is one of the most common ways to start generating revenue from your blog. You can sign up at Google Adsense or any other another network to get some ads placed at your blog. If your blog caters to a niche audience and has a decent following then you can also sell the ad space of your blog at business forums, online communities and other groups. 2. Go Affiliate: Affiliate marketing can generate a fat stream of revenue from sale commissions. You can put up links of products and services that are relevant to your blog. There are various affiliate network programs which you can opt for such as Amazon, LinkShare, Commission Junction and Click Bank. 3. Paid Reviews: You can post a review of a product, service or a company on a blog and get paid for it. However, you need to be picky about the reviews you post as you might risk losing your blog following if your post irrelevant/false reviews. You can work your way around business forums to find such opportunities or can also try websites such as ReviewMe or PayPerPost. 4. Donations: Many blogs earn a lot of money just from donations of their followers. If you are providing very useful and informative content, then you can certainly ask for donations. You might be surprised by how generous your followers can be. 5. Sell Something: You can always use the conventional method of making money. Sell any product or service that is relevant to your blog. For eg. Sitcom and movie fan blogs make a lot of money by selling merchandise and other collectible items. Do take into account that any of the methods listed above will only work if you have a decent amount of traffic on your blog. The first step of monetizing your blog is putting up original, interesting and informative content on the blog. If your blog has some substance to offer then only it can be monetized. So, make sure you use the right resources to create impactful blog content. If this was not a marketing kill then what else is? Facebook did that to Orkut long before the frontrunner even knew that it was being threatened by the former. Starting from a dorm room experiment to having 1 billion users on their social network site, Facebook evolved and how! The site continues to astound and keep the users engaged with new features. There’s no bargain on that. The minute the feeling sinks in that the site is losing the user ‘connect’, we have something bigger and better. It is just inevitable here to share some of the aspects that made the users stick around for more. Timeline: Facebook knew from the beginning that the site is just as much about digital socializing as it is about self representation and what better way to do it than by chronicling the events of your life. This led the brand bandwagon to hit a new social network marketing formula. Integration: Facebook made the user engagement happening with apps but it gradually went ahead with integrations. From Scribd to TripAdvisor to Bing, Facebook integration now allowed the users to share notes, search and even plan a journey, when they feel like it. Video Chat: The Facebook and Skype integration gave the users the leisure of video chat. This in fact was quite an event that took place when Google dropped the bomb with Google+. The former sure was ready to take on the competition’s attack and nicely so. Subscription: This was something quite ‘awaited’. For people who sought the friendship status but were not successful, could now subscribe to the posts, allowing the community to grow and seek out more acquaintances. 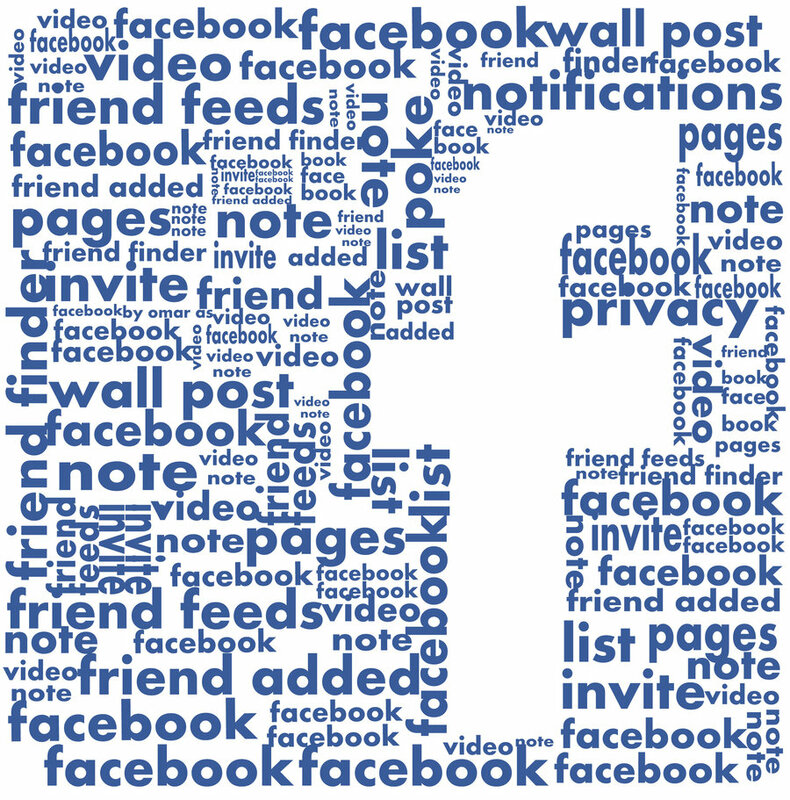 Photo Albums: This has been one aspect of Facebook which has been constantly innovating. With increasing pixel sizes, easy navigation, tagging and bigger views, Facebook photo features are a revolution and are definitely a popular category amongst users. There are some things in the world that we are biased about mostly because of their ‘not-so-real’ status. Admitting to that, it is a given that very few of us like to take animation for anything serious, even making a statement. True. Animation is something inanimate put into action and is mostly for the purpose of humour, but why should that come to limit the possibilities of the medium? It is hard to know how many parents are thankful to Walt Disney, but they don’t really take animation for serious stuff. This definition has come to redefine itself by some of the creations of past few years. The movies have not only questioned societal norms but unusual genres and not to miss out the superior technology. Animation in fact has questioned and brought more ‘life’ to reality, with the films trying to get closer and closer to the nuances of something alive and less fictional. Persepolis: The mix of a graphic storyline merged with animation, this film brings the point of view of a young Iranian libertine woman, who sought freedom of thought when her society was struggling with religious turmoil. Mary and Max: An interesting representation of clay animation gives Mary and Max that magical feel. The plot that layers the emotion of two lonely souls set apart in different continents learn to deal with life through letters. Fantastic Mr. Fox: Imagining the furry beings of your closet coming to life is the ultimate effect of this one. Working on the techniques of stop motion animation, this is a story of a shrewd Mr. Fox, who decides to define his freedom by outsmarting humans, sending out quite a message. Up: Nobody talks of the old anymore but animation does. A septuagenarian Carl decides to take a trip and manages to do that by flying along with his home on balloons. The movie captures the plot with the effects of photo realistic animation at its best. 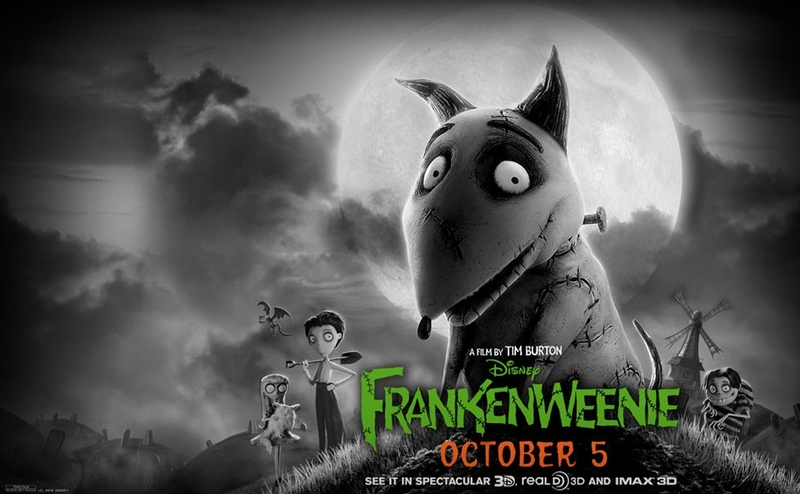 Frankenweenie: With Tim Burton’s direction and a perfect setting for the mysterious mix of graphic, gothic and animation, this one is to be watched for the amalgamation of stop motion and digital animation. It is more a work of ‘difference’ than just a new-age adaptation to Frankenstein. There is no better conclusion to this list, which is always under construction. To that effect, these are only a few master pieces out of the animation box but for the ones who think ‘it’s not quite worth it’ are missing much. Music only exists in digital form in the contemporary realm. The vogue of CDs and other recording formats is also waning as music is mostly bought though online stores. This phenomenon started in the early years of the 21st century with the opening of iTunes store. Music is now available on the Internet in universal formats such as MP3 which can be easily accessed across all platforms. Advertising techniques for music has also undergone a major shift. Unlike before, one has the option to purchase songs individually rather than the whole album. This not only proves to more economically viable but also more efficient. You can also rate the songs which helps other customers with their buying decisions. Most online music stores also feature songs that are most downloaded and top rated. These lists also play a critical role in influencing the decision of the buyers. Music stores also offer the option of listening to the preview of the song before actually purchasing it. The preview of the song serves as the advertisement for the song itself. The major advantage of online music stores that they provide access to a humongous collection readily. The music is organised under genres which you can access as per your taste. Advertisements are also projected in the form of recommendations. Online stores generally keep a track of your purchases and recommend songs on that basis. Users can also post reviews for songs and share their views about any song, album or artist. Online stores also serve the function of social media as users can interact and share their interests and ideas. It would be just relevant to talk about SWOT at a time when brands are flooding in the digital space to leverage on the online customer base. For every business with its online presence, it is important that it is making the best use of the social media space. In case, if things are not looking up, then, it is time to sit back and do the SWOT analysis. Efficient media planning to work out the social media campaigns are in place. This allows the management to assess the situation and then go ahead with the launch. Deep market reach is crucial. The number of customers who are actively involved with the social media platform will help boost the business. Thorough understanding of the media tools and the metrics to measure the success of campaigns are acquired. The problem with not having the right resources which help build the analytics behind a campaign can be a major problem. Another hindrance could be with maintaining the effectiveness of the campaign on the networking site. If the right impact is not made, the campaign loses its grip. Not having the support of the collaborative team on the subject of social media campaign can be a hurdle too. Moving out of the comfort zone and interacting more on the digital space is important. It acts like food for thought for business to connect on different platforms like Facebook, Twitter or Linkedin. Exploring the customer base is another option to go for. 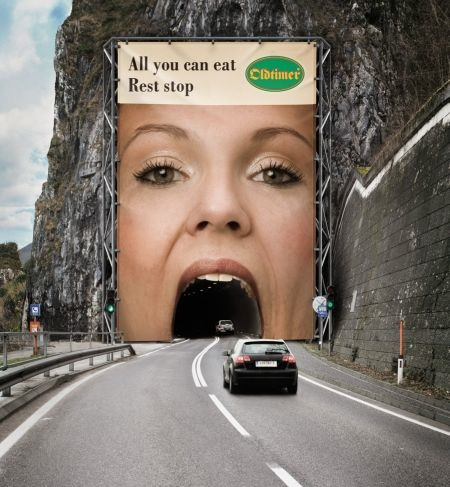 Promotional offers help grab attention and drive traffic to the source. It becomes absolutely essential to have partners for sponsorships or shared spaces on the digital medium. This gives campaign a broader coverage. It is important to question the strategy before taking the plunge. Is the campaign going to benefit the existing company profile? Though trying to make a mark in the space, the unavoidable threat remains from an established player. So, check if you are better equipped to take on the counter attack? Campaign sustainability is a big issue. The slightest of fault in message strategy will take the toll on the brand. The concept of Marketing was originated to suffice for the need of a more intelligent and effective system for the delivery of services and goods. The concept still holds good but the modalities of its application have undergone a major change. With regard to the contemporary information age we live in, traditional marketing techniques have gradually given way to the need to market your product/service digitally. Read on to know why. Engaging the Customer: The cardinal principle of marketing is to engage the customer and keep him engaged. Whilst traditional marketing methods have proved to be effective for this purpose, they are more or less passive in contrast to digital marketing. Digital marketing enables you to engage your customer on a much more intimate level. With social media, customers become an active member of the whole marketing communication process, enabling the marketers to establish a genuine rapport with them. Seamless Simplification: Unlike traditional marketing, the reach of digital marketing is not limited by geographical factors. The development cycle for a digital marketing campaign is fairly short and campaigns can be launched without much ado. Individualised Approach: Via digital medium, you can specifically target your key demographics. Social media enables marketers to segregate the audience up to an individual level, as they have the access to the preferences, likes and interests of each person. Adding a personal touch goes a long way in terms of Customer Relationship Management (CRM) – a key tenet of marketing. Micro View: It is exceedingly simple to project and analyse results with digital marketing campaigns. As results are available in real-time and with every possible detail, it is possible to adopt a highly analytical approach with digital marketing. Instant Feedback: Through traditional means it is almost impossible to gain feedback of the customer instantly. With instant feedback, digital marketing can help you identify and counter the shortcomings of the product/service which is crucial for a long term success. Owing to the increasing dominance of the digital world over the real one, the past has seen the birth of many brands through digital marketing. “Digital” is the language the contemporary generation seems to conversing in and it will only be natural for the marketers to communicate with their audience in their colloquial language.